Before you decide to recycle your old gadgets like computers, consider trying Computer Repairs Brisbane to find out whether they can be brought back into working conditions.There are various steps that you can take in order to minimize your business expenses, the most popular of which is to reuse and recycle old office gadgets that no longer perform their primary functions. By recycling your old and broken goods you are also going through the de-cluttering process, a process that every business needs. It is more common for people to recycle items because of the environmental friendliness aspect that comes with it. However, what you probably do not know is that there are different ways that you can reuse gadgets without doing any tweaks to it. Reusing your old office gadgets is a great way to save money. After all, you will basically be taking something that you already own and using it for another kind of need. Reusing old office gadgets that you have lying around is also a great way for you to show off your creativity. There are different things that you can do in order to reuse and recycle old and unusable gadgets that you have in your office. Here are a few ideas that you can try out. If you and your staff still use big and bulky computers in order to access resources online for your business, then you can streamline the process by replacing these computers with your old tablets. You and the rest of your office can start use old tablet computers in order to access and read the materials that you need for your job. Using tablets as e-readers will streamline your office’s design. Also, it will make it easier and more comfortable for you to get reading done. If you have more than a few old tablets lying around, then use them to replace old computers in your office reading area. One of the most commonly misplaced gadgets in the office are portable media devices and flash drives. You do not have to buy a new one when your shared drive goes missing. You can simply find an old media player and start using it to store, hold, and transfer office files. Media players have big capacities and they will surely be able to hold a big bulk of data. You can find a connector wire and use your media player as a storage device, instead of simply using it to play music. 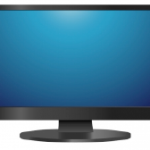 The next time that your office’s entertainment room TV goes bust, look for an old computer monitor and use it to replace the broken screen. As long as the picture works fine, you will be able to use a monitor as replacement for your TV. Simply connect the old monitor to the system that services your office’s entertainment area. If you want, you can place it in the office pantry or a floor’s common area to give your employees a more relaxed breathing space. Most of the time, repairing your office’s CCTV cameras will cost a lot of money, especially if you need new parts to upgrade or maintain the other units that you have. What you can do is to take one of the old or broken CCTV cameras that you have lying around, break it apart, and cut out the spare parts and pieces that you can use to maintain and upgrade the other cameras in your CCTV system. This way, you will not spend much on new parts. These days offices use companies to manage office security, so your broken CCTV camera will be a thing of the past. In exchange for one camera, you will be able to get your hands on different parts that you can use to repair and maintain a number of other units. As some people say, one man’s trash is another man’s treasure. If you have different old gadgets lying around the office yet you no longer have use for them, then you can donate these unwanted gadgets to non-profit programs that will refurbish and recycle them for other people’s use. Simply contact Cell Phones for Soldiers, Call2Recycle, the U.S. Environmental Protection Agency Resources, Verizon HopeLine, or other like-minded organizations. There are different kinds of Tech Company recycling programs that will happily buy your old devices. If you are sure that your office no longer needs these devices, then you can contact these programs and see if they are interested in taking them off of your hands. You can even turn this task into a regular chore for the whole office. Surrender old office devices to these recycling programs and you will receive certain amounts that you can use to treat your employees. Leaving old computers and devices in your office will do nothing but gather dust in the workspace. What you can do is to find ways to reuse and recycle these gadgets. You can use your creativity in order to refurbish the items that you have lying around. You can also get help from third-party recycling programs in order to do so. Once you get into this habit, you will find yourself maintaining a more streamlined and cost-efficient office. You will not only be able to save money, but you will also be able to add a touch of creativity to your workplace. Recycling and reusing old office devices is quite simple. You and your employees will surely have a fun time doing it. Don’t forget to checkout our history of doorbells write-up that we posted last week.